Araki N, Chuman H, Matsunobu T, Tanaka K, Katagiri H, Kunisada T, Hiruma T, Hiraga H, Morioka H, Hatano H, Asanuma K, Nishida Y, Hiraoka K, Okamoto T, Abe S, Watanuki M, Morii T, Sugiura H, Yoshida Y, Ohno T, Outani H, Yokoyama K, Shimose S, Fukuda H, Iwamoto Y. Factors associated with the decision of operative procedure for proximal femoral bone metastasis: Questionnaire survey to institutions participating the Bone and Soft Tissue Tumor Study Group of the Japan Clinical Oncology Group. J Orthop Sci. 2017;22(5):938-945. Nakamura T, Katagiri H, Shido Y, Hamada S, Yamada K, Nagano A, Yamada S, Tsukushi S, Ishimura D, Matsumine A, Sudo A, Nishida Y. Analysis of Factors for Predicting Survival in Soft-tissue Sarcoma with Metastatic Disease at Initial Presentation. Anticancer Res. 2017;37(6):3137-3141. 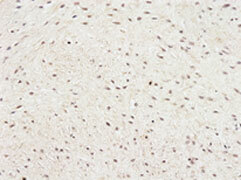 Nishida Y, Asai S, Arai E. Multicentric reticulohistiocytosis misdiagnosed as tenosynovial giant cell tumour. Rheumatology (Oxford). 2017. Ota T, Nishida Y, Ikuta K, Kato R, Kozawa E, Hamada S, Sakai T, Ishiguro N. Heat-stimuli-enhanced osteogenesis using clinically available biomaterials. PLoS One. 2017;12(7):e0181404. Sakai T, Nishida Y, Hamada S, Koike H, Ikuta K, Ota T, Ishiguro N. Immunohistochemical staining with non-phospho beta-catenin as a diagnostic and prognostic tool of COX-2 inhibitor therapy for patients with extra-peritoneal desmoid-type fibromatosis. Diagn Pathol. 2017;12(1):66. Urakawa H, Nakanishi K, Arai E, Ikuta K, Hamada S, Ota T, Ishiguro N, Nishida Y. Single metastasis of myxoid liposarcoma from the thigh to thyroid gland: a case report. World J Surg Oncol. 2018;16(1):71. Kozawa E, Cheng XW, Urakawa H, Arai E, Yamada Y, Kitamura S, Sato K, Kuzuya M, Ishiguro N, Nishida Y Increased expression and activation of cathepsin K in human osteoarthritic cartilage and synovial tissues..J Orthop Res. 2016 Jan;34(1):127-34. doi: 10.1002/jor.23005. Hamada S, Urakawa H, Kozawa E, Arai E, Ikuta K, Sakai T, Ishiguro N, Nishida Y. Characteristics of cultured desmoid cells with different CTNNB1 mutation status. Cancer Med. 2016 Feb;5(2):352-60. doi: 10.1002/cam4.582. Futamura N, Urakawa H, Tsukushi S, Arai E, Kozawa E, Ishiguro N, Nishida Y. 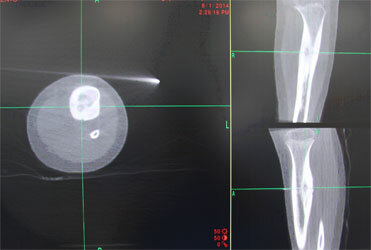 Giant cell tumor of bone arising in long bones possibly originates from the metaphyseal region. Oncol Lett. 2016 Apr;11(4):2629-2634. DOI: 10.3892/ol.2016.4264. 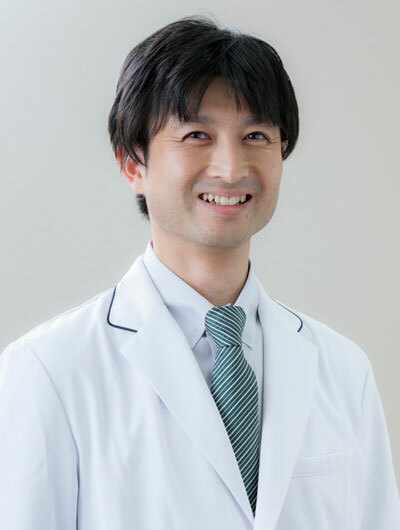 Nakamura T, Matsumine A, Kawai A, Araki N, Goto T, Yonemoto T, Sugiura H, Nishida Y, Hiraga H, Honoki K, Yasuda T, Boku S, Sudo A, Ueda T. The clinical outcome of pazopanib treatment in Japanese patients with relapsed soft tissue sarcoma: A Japanese Musculoskeletal Oncology Group (JMOG) study. Cancer. 2016 May 1;122(9):1408-16. doi: 10.1002/cncr.29961. 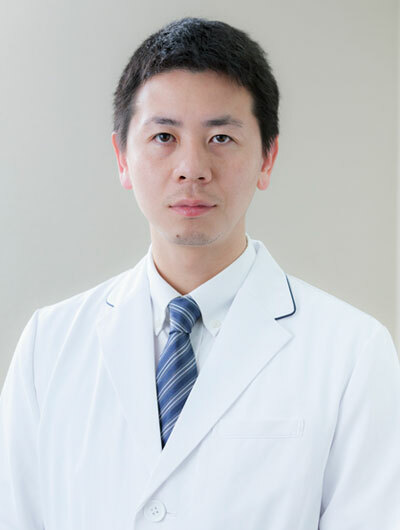 Nakamura T, Matsumine A, Yamada S, Tsukushi S, Kawanami K, Ohno T, Katagiri H, Sugiura H, Yamada K, Yamada Y, Sudo A, Nishida Y. Oncological outcome after lung metastasis in patients presenting with localized chondrosarcoma at extremities: Tokai Musculoskeletal Oncology Consortium study. Onco Targets Ther. 2016 Jul 29;9:4747-51. doi: 10.2147/OTT.S107638. Nishida Y, Tsukushi S, Urakawa H, Hamada S, Kozawa E, Ikuta K, Ishiguro N. Simple resection of truncal desmoid tumors: A case series. Oncol Lett. 2016 Aug;12(2):1564-1568. DOI: 10.3892/ol.2016.4792. Urakawa H, Kozawa E, Ikuta K, Hamada S, Ishiguro N, Nishida Y. Impact of disease free status on prognosis in metastatic non-small round cell soft tissue sarcomas. Clin Exp Metastasis. 2016 Dec;33(8):799-807. DOI: 10.1007/s10585-016-9820-z. 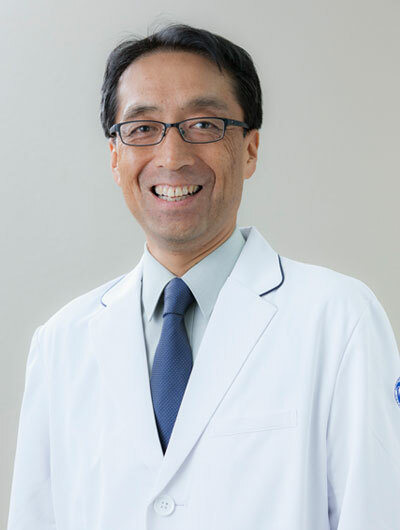 Tanaka K, Joyama S, Chuman H, Hiraga H, Morioka H, Yoshikawa H, Hosaka M, Takahashi M, Kubo T, Hatano H, Kaya M, Toguchida J, Nishida Y, Nagano A, Tsumura H, Iwamoto Y. Feasibility and efficacy of gemcitabine and docetaxel combination chemotherapy for bone and soft tissue sarcomas: multi-institutional retrospective analysis of 134 patients. World J Surg Oncol. 2016 Dec 8;14(1):306. DOI: 10.1186/s12957-016-1059-2. Non-rigid reconstruction of chest wall defects after resection of musculoskeletal tumors. Tsukushi S, Nishida Y, Sugiura H, Yamada Y, Kamei Y, Toriyama K, Ishiguro N.
Ikuta K, Urakawa H, Kozawa E, Hamada S, Ota T, Kato R, Honda H, Kobayashi T, Ishiguro N, Nishida Y.
Int J Hyperthermia. 2015 Feb;31(1):58-66. Solitary fibrous tumors in the extremities: imaging findings for six patients. Hyodo R, Komada T, Takada A, Kawai H, Ito S, Nishida Y, Naganawa S.
Nagoya J Med Sci. 2015 Feb;77(1-2):167-78. Postoperative brain metastases in soft tissue sarcomas. Urakawa H, Tsukushi S, Kozawa E, Ikuta K, Hamada S, Ishiguro N, Nishida Y.
Clin Exp Metastasis. 2015 Apr;32(4):345-51. doi: 10.1007/s10585-015-9713-6. 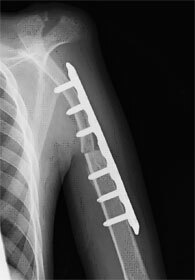 Surgical treatment for fibrous dysplasia of femoral neck with mild but prolonged symptoms: a case series. Nishida Y, Tsukushi S, Hosono K, Nakashima H, Yamada Y, Urakawa H, Ishiguro N.
J Orthop Surg Res. 2015 May 10;10:63. doi: 10.1186/s13018-015-0208-6. 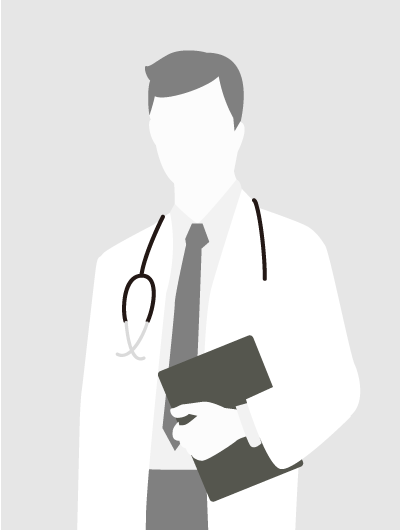 Association of short duration from initial symptoms to specialist consultation with poor survival in soft-tissue sarcomas. Urakawa H, Tsukushi S, Arai E, Kozawa E, Futamura N, Ishiguro N, Nishida Y. Am J Clin Oncol. 2015 Jun;38(3):266-71. doi: 10.1097/COC.0b013e318295aea2. Expression of colony-stimulating factor 1 is associated with occurrence of osteochondral change in pigmented villonodular synovitis. Ota T, Urakawa H, Kozawa E, Ikuta K, Hamada S, Tsukushi S, Shimoyama Y, Ishiguro N, Nishida Y.
Tumour Biol. 2015 Jul;36(7):5361-7. doi: 10.1007/s13277-015-3197-5. Inhibition of hyaluronan synthesis alters sulfated glycosaminoglycans deposition during chondrogenic differentiation in ATDC5 cells. Yoshioka Y, Kozawa E, Urakawa H, Arai E, Futamura N, Zhuo L, Kimata K, Ishiguro N, Nishida Y.
Histochem Cell Biol. 2015 Aug;144(2):167-77. doi: 10.1007/s00418-015-1325-3. Development and external validation of nomograms predicting distant metastases and overall survival after neoadjuvant chemotherapy and surgery for patients with nonmetastatic osteosarcoma: A multi-institutional study. Ogura K, Fujiwara T, Yasunaga H, Matsui H, Jeon DG, Cho WH, Hiraga H, Ishii T, Yonemoto T, Kamoda H, Ozaki T, Kozawa E, Nishida Y, Morioka H, Hiruma T, Kakunaga S, Ueda T, Tsuda Y, Kawano H, Kawai A. Cancer. 2015 Nov 1;121(21):3844-52. doi: 10.1002/cncr.29575. Objective tumor response to denosumab in patients with giant cell tumor of bone: a multicenter phase II trial. Ueda T, Morioka H, Nishida Y, Kakunaga S, Tsuchiya H, Matsumoto Y, Asami Y, Inoue T, Yoneda T.
Ann Oncol. 2015 Oct;26(10):2149-54. doi: 10.1093/annonc/mdv307. Low-dose chemotherapy with methotrexate and vinblastine for patients with desmoid tumors: relationship to CTNNB1 mutation status. Nishida Y, Tsukushi S, Urakawa H, Hamada S, Kozawa E, Ikuta K, Ando Y, Ishiguro N.
Int J Clin Oncol. 2015 Dec;20(6):1211-7. doi: 10.1007/s10147-015-0829-0. Post-operative pulmonary and shoulder function after sternal reconstruction for patients with chest wall sarcomas. Nishida Y, Tsukushi S, Urakawa H, Toriyama K, Kamei Y, Yokoi K, Ishiguro N.
Int J Clin Oncol. 2015 Dec;20(6):1218-25. doi: 10.1007/s10147-015-0844-1. Favorable outcome after complete resection in elderly soft tissue sarcoma patients: Japanese Musculoskeletal Oncology Group study. 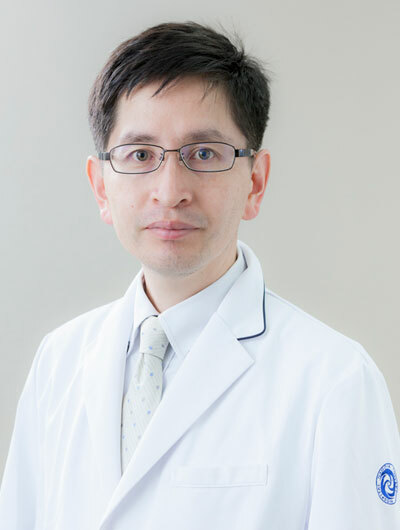 Yoneda Y, Kunisada T, Naka N, Nishida Y, Kawai A, Morii T, Takeda K, Hasei J, Yamakawa Y, Ozaki T; Japanese Musculoskeletal Oncology Group. Eur J Surg Oncol. 2014 Jan;40(1):49-54. Surgical procedures and prognostic factors for local recurrence of soft tissue sarcomas. Sugiura H, Nishida Y, Nakashima H, Yamada Y, Tsukushi S, Yamada K.
J Orthop Sci. 2014 Jan;19(1):141-9. Correlation between equivalent cross-relaxation rate and cellular density in soft tissue tumors. Hamada S, Matsushima S, Sugiura H, Yamada K, Nishida Y, Ishiguro N.
Equivalent cross-relaxation rate imaging positively correlates with pathological grade and cell density of adipocytic tumors. Okuda H, Matsushima S, Sugiura H, Yamada K, Hamada S, Nishida Y, Ishiguro N.
Magn Reson Imaging. 2014 Apr;32(3):206-10. Multiple primary malignancies in elderly patients with high grade soft tissue sarcoma. Kozawa E, Sugiura H, Tsukushi S, Urakawa H, Arai E, Futamura N, Nakashima H, Yamada Y, Ishiguro N, Nishida Y.
Int J Clin Oncol. 2014 Apr;19(2):384-90. 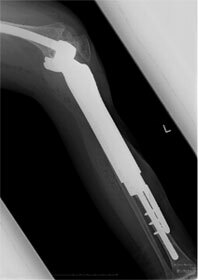 Clinical outcomes of Kyocera Modular Limb Salvage system after resection of bone sarcoma of the distal part of the femur: the Japanese Musculoskeletal Oncology Group study. Nakamura T, Matsumine A, Uchida A, Kawai A, Nishida Y, Kunisada T, Araki N, Sugiura H, Tomita M, Yokouchi M, Ueda T, Sudo A. Lower leg compartment syndrome in neurofibromatosis 1 patient with plexiform neurofibrom: a case report of aneurysm rupture. Nishida Y, Tsukushi S, Urakawa H, Arai E, Kozawa E, Ishiguro N.
Ann Vasc Surg. 2014 May;28(4):1035.e5-9. Nuclear expression of β-catenin predicts the efficacy of meloxicam treatment for patients with sporadic desmoid tumors. Hamada S, Urakawa H, Kozawa E, Futamura N, Ikuta K, Shimoyama Y, Nakamura S, Ishiguro N, Nishida Y.
CTNNB1 S45F mutation predicts poor efficacy of meloxicam treatment for desmoid tumors: a pilot study. Hamada S, Futamura N, Ikuta K, Urakawa H, Kozawa E, Ishiguro N, Nishida Y.
PLoS One. 2014 May 1;9(5):e96391. 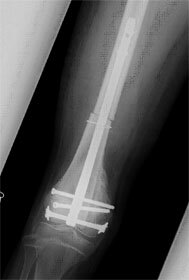 Clinical factors affecting pathological fracture and healing of unicameral bone cysts. Urakawa H, Tsukushi S, Hosono K, Sugiura H, Yamada K, Yamada Y, Kozawa E, Arai E, Futamura N, Ishiguro N, Nishida Y.
BMC Musculoskelet Disord. 2014 May 17;15:159. High incidence of regional and in-transit lymph node metastasis in patients with alveolar rhabdomyosarcoma. Nishida Y, Tsukushi S, Urakawa H, Sugiura H, Nakashima H, Yamada Y, Ishiguro N.
Int J Clin Oncol. 2014 Jun;19(3):536-43. EMMPRIN co-expressed with matrix metalloproteinases predicts poor prognosis in patients with osteosarcoma. Futamura N, Nishida Y, Urakawa H, Kozawa E, Ikuta K, Hamada S, Ishiguro N.
Residual tumor after unplanned excision reflects clinical aggressiveness for soft tissue sarcomas. Arai E, Sugiura H, Tsukushi S, Nakashima H, Urakawa H, Kozawa E, Ishiguro N, Nishida Y.
Hyaluronan expression as a significant prognostic factor in patients with malignant peripheral nerve sheath tumors. Ikuta K, Urakawa H, Kozawa E, Arai E, Zhuo L, Futamura N, Hamada S, Kimata K, Ishiguro N, Nishida Y.
Clin Exp Metastasis. 2014 Aug;31(6):715-25. Prognostic significance of histological invasion in high grade soft tissue sarcomas. Tsukushi S, Nishida Y, Urakawa H, Kozawa E, Ishiguro N.
Neoadjuvant and adjuvant chemotherapy with doxorubicin and ifosfamide for bone sarcomas in adult and older patients. Urakawa H, Tsukushi S, Sugiura H, Yamada K, Yamada Y, Kozawa E, Arai E, Futamura N, Ishiguro N, Nishida Y.
Metastasis of osteosarcoma to stomach made clinically evident by hematemesis: a case report. Urakawa H, Tsukushi S, Tsurudome I, Hirata A, Arai E, Kozawa E, Futamura N, Miyahara R, Ishiguro N, Nishida Y. World J Surg Oncol. 2013 Feb 26;11:48. Midterm outcome of risedronate therapy for patients with Paget’s disease of bone in the central part of Japan. 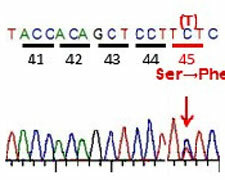 Nishida Y, Yamada Y, Tsukushi S, Sugiura H, Urakawa H, Ishiguro N.
Osteosarcoma after bone marrow transplantation. 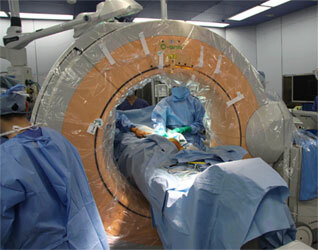 Ueki H, Maeda N, Sekimizu M, Tsukushi S, Nishida Y, Horibe K.
J Pediatr Hematol Oncol. 2013 Mar;35(2):134-8. Planned preservation surgery for soft tissue sarcomas adjacent to critical structures. Tsukushi S, Nishida Y, Urakawa H, Arai E, Kozawa E, Ishiguro N.
Arch Orthop Trauma Surg. 2013 Apr;133(4):481-6. Suppression of hyaluronan synthesis alleviates inflammatory responses in murine arthritis and in human rheumatoid synovial fibroblasts. 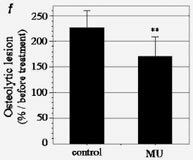 Hyaluronan synthesis inhibitor supplements the inhibitory effects of zoledronic acid on bone metastasis of lung cancer. 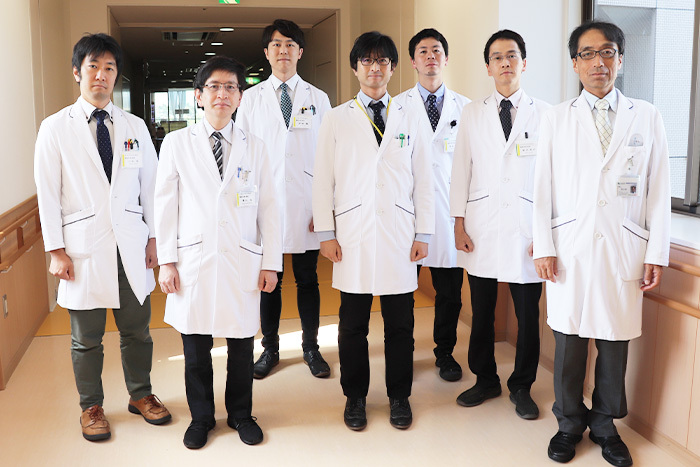 Futamura N, Urakawa H, Arai E, Kozawa E, Ishiguro N, Nishida Y.
Clin Exp Metastasis. 2013 Jun;30(5):595-606.